The Society endeavours to run a programme of social events. 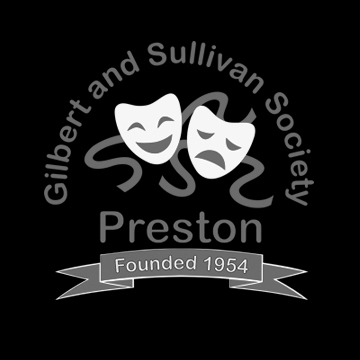 The society was formed in 1954, when Mr. Eric Hindle and a Mrs. Luveasa, both teachers at Trinity School Preston, started a Gilbert & Sullivan Group within the school. With the opening of the Guild Hall complex in 1972/73, the group now called “The Gilbert & Sullivan Society” moved their productions to the Charter Theater and also to the Lowther Pavilion at Lytham, St Annes. In 1999 the company moved again this time to the more intimate setting of “The Preston Playhouse” was they have performed ever since, as well as continuing at the “Lowther”. The company itself continues to perform to award winning standards with a new generation of singers, all blessed with the same love of Gilbert and Sullivan that Eric Hindle had all those years ago. The Society endeavours to run a programme of social events alongside the schedule of rehearsals. Preston G&S Society is one of the select set of performing companies that have made the Preston Playhouse a home and there are plenty of opportunities to get involved with the working of the Playhouse and developing it as a performing venue for Preston G&S and the other companies using the theatre.